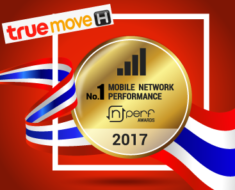 Who provides the best mobile internet in Thailand? 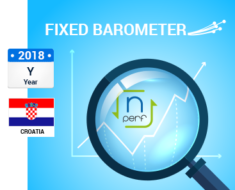 During the first half of 2018, nPerf has collected a total of 551,295 tests from nPerf mobile app. Based on analysis, True Move H remains the number one in Thailand! 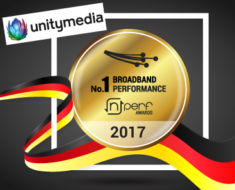 With the best performances in download speed (15,73 Mb/s), upload speed (8,41 Mb/s), streaming performance (71,26%) and browsing performance (53,18%). True Move H confirms his leadership position ahead of AIS and DTAC for more than two years. Another good news is that the 3 main operators have started to increase their capacity since May 2018. 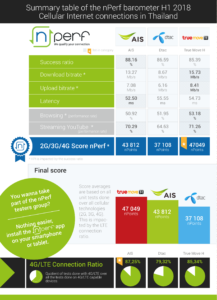 Especially DTAC who has nearly doubled their download speed in June. 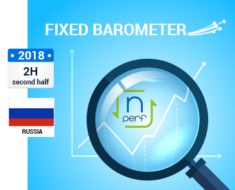 The nPerf study is based on few hundred thousands of tests. 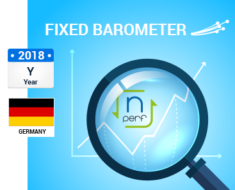 Do not forget to download nPerf application for Android, Apple or Windows Phone.